★ "A stellar collection of writings—prose, illustrated pieces, and poetry—that showcase contemporary expressions of feminism: what it is, what it isn't, and what it can be. . . With its thoughtful, scrapbook like design and variety of socio-economic and cultural perspectives, the book invites young readers to engage in this roundtable discussion. An embarrassment of riches." "Candor and passion radiate from the 30 voices raised in this trenchant and timely compendium of interviews, essays, reflections, illustrations, and poems. 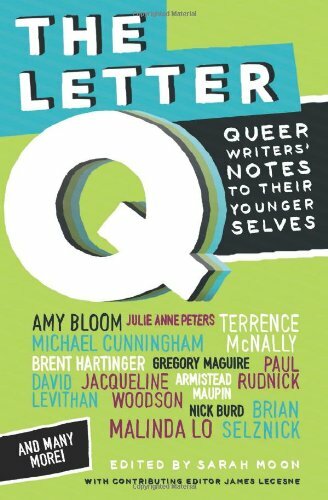 Representing a range of ethnicities, sexual orientations, professional achievements, and—most intriguingly—personalities, the contributors share their own experiences encountering, and countering, various forms of injustice, and encourage readers to speak out and act against the same." "Dream On, Amber" and "Full Cicada Moon." The New York Times Book Review (Nov. 6, 2015). Transformers: Reimagining the World. The Horn Book (June 2015). A Second Female Author Talks About Sexism and Self-Promotion. The Toast (Nov. 12, 2013). On Bisexual Love Triangles. The Book Smugglers (Sept. 24, 2013). Race, Sexuality, and the Mainstream. Diversity in YA (Sept. 25, 2013). Turning Point — Distraction 99 (Sept. 7, 2012). 10 LGBTQ Young Adult Novels To Make It Better. The Huffington Post (July 19, 2012). "Miseducation": A Cowgirl Coming-Out Story for Teens. NPR (Feb. 7, 2012). Girls Girls Girls: A Trio of Epic Adventures. NPR (May 25, 2011). A Healthy Dose of Diversity. School Library Journal (May 1, 2011). My Coming-Out Story. Originally published at AfterEllen on April 19, 2009 in my Notes and Queeries column; republished on my website. From 2003-09, I was a contributing writer and ultimately managing editor at AfterEllen.com, which at one point was the largest website in the world for lesbian and bisexual women. Due to multiple site redesigns and several new site owners, my original articles are no longer easily accessible, but during those years I was a member of the Television Critics Association and wrote numerous reviews of TV shows, films, and books; interviewed people ranging from Joss Whedon (Buffy the Vampire Slayer) and author Sarah Waters (Fingersmith) to actor Lena Headey (Game of Thrones) and musician Melissa Etheridge; and wrote two columns. I was also associate editor at Curve magazine (2006), the U.S.'s top-selling lesbian magazine; and wrote freelance articles for a variety of publications including Girlfriends, The Gay and Lesbian Review, and the Lesbian News. As a graduate student at Harvard and Stanford, I was lucky enough to study subjects that were both fun and fascinating. At Harvard, I earned my M.A. in Regional Studies—East Asia, and wrote my master’s thesis on the cultural meanings of Chinese cookbooks in America. Later, that research was turned into my first-year paper at Stanford, where I went through part of a Ph.D. program in Cultural and Social Anthropology. At Stanford, my research focused on popular culture and particularly the culture of online fandom. To that end, I researched The X-Files, one of the earliest television shows to develop a dedicated online fan base. The following research projects are the results of this graduate work. In the summer of 2001, funded by a Mellon Foundation grant, I spent two months in Los Angeles conducting fieldwork on the entertainment industry. In addition to interviewing numerous screenwriters and producers, I spent one week at the offices of 1013 Productions, the production company behind The X-Files. I observed the filming of an episode, sat in on production meetings, and interviewed the executive producers. This paper is the result of that research. This paper is a revised version of my Harvard University master’s thesis in Regional Studies-East Asia (2000), and was written while I was a Ph.D. student in Stanford University’s Department of Cultural and Social Anthropology. It was delivered as a paper at the Association for Asian American Studies conference in March 2001.